When it comes to the latest trends in web design, most of the designers feel themselves in a puzzle. Knowing the trends can help you to decide your choices regarding web design. And now, when the internet has changed a lot as well as grown in a rapid manner in the last decade, we are experiencing a huge change in Web designing. 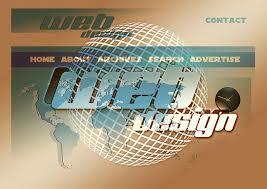 Websites have become smarter than before with the help of a lot of technological advancements. And with that, the work of designers has become simpler. In the present article, we will provide a clear view of the latest innovative trends that are in the high place of Web designing in this year 2019. In short, go through the article and know about innovative web design trends for 2019. In this part of the article, we are going to tell you about the trends that have the ability to help the designers to achieve their goal in every way. Let’s learn about them in minute details. Web design trends are all about shaking the convention a little up. That is why these days the rule of using the serifs for print and sans serifs for the screen is changing a little. Till now, with the clean readability sans is the go-to for longer bouts of website copy but still, these days, in other aspects of the designs, most of the renowned designers are going with the bold serifs. Especially for the callouts and headers. The decorative design of the serifs makes them absolutely perfect for emphasis in the long run. There are lots of character in Serifs that are more adaptable than they seem to be, inspite of the fact that serifs have a connection with the past. Whether it is the rounded serifs or it is the wedge serifs and bold strokes, the serifs have always the perfect look for your website. You cannot imagine designing your website without colors. 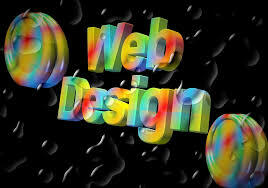 Color is one of those main factors that play a vital role in Web Designing. It can create a visual landmark and with the help of that, it is able to unify a brand and cultivate the mood as well as that it can guide the users through an interface. For this year 2019, it is clear that daring black and white web designs are creating quite impressive statements. The world seems noticeably slower when the textures and shapes become clearer because of the missing of color. However, it is true that the color is nothing but how we see the world by light particles being absorbed. When white stands for the clean and reserved black itself is assertive and strong. That is why you will get only a striking look after combining these two colors. In their combination with minimal amounts of color, black-and-white designs can have the biggest effect. If you add an accent color it will make points of interest and call-to-action leap out. Along with that, it will break the sea of monochrome up. In these days the designers are heading over the natural shapes and smooth lines inspite of the fact that the web pages are typically set up for systematic grids. In the present year, 2019, the trend of web designing is showing interest in the feeling of comfort and accessibility, even when the geometric structures can create a sense of stability with their sharp corners. It is true that organic shapes are asymmetrical and imperfect in nature and that is one reason why it is able to provide depth to web design. And it can provide the web design that we will be able to create stand out page elements. As these organic and natural shapes are inspired by natural things such as curving forms of hills and trees, they have a spontaneity factor in them. Mainly, using these organic shapes mean increasing the humanistic feeling through the illusion of movement. A comeback of some form of retro design is quite natural for a trend list. When it comes to glitch art, it boosts the feeling of disorientation with a distinctly experimental look of the website. And this trend of glitch art is getting its place back in the year of 2019 only because the glitches are significant in this modern age of the computer. The parts of the website that are glitchy, double exposed, and warped have the ability to draw the visitors’ attention with ease. Micro-interaction is the specific response of every small action on an app or website. And these interactions create an event that is human and inviting. Along with that, they make the users surprised. You can see this kind of micro-interactions at the time of refreshing a Twitter page with a beep and at the time of checking Facebook with the red icon displaying the message count on your account. The above examples are the most common use of micro-interaction. 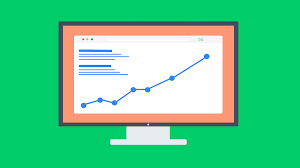 But when it comes to the web design trends for 2019, this micro-interaction will come to us with lots of interactive incarnations. We will be able to see chimes as well as scrolling and hover animations this year in web designing. And these things have the capability to make your website feel a little smarter than your competitors. Till the date, chatbots were promising in the terms of trends. But in 2019 it is going to rule the industry. And it is happening mainly because of the advancement of machine learning and Artificial Intelligence. In this year we will see more use of chatbots along with higher levels of customization in comparison to the past years. Designs are becoming thumb-friendly in an increasing manner as mobile browsing has firmly overtaken desktop these days. For example, nowadays, the hamburger menu has moved to the bottom of the mobile screens, and the users are encountering navigation tailored to be thumb-friendly. Minimalism is one of the few timeless and classic web-design trends that are popular in the market of web-designing. Minimalization helps the user to think less because of the fewer contents and elements on the website. And the website will show the users exactly what they want without making them confused. Video contents are nothing new in the world of web-designing. And, they are very helpful to get those audiences who don’t have enough time to scan through a huge text. Along with that, it diversifies your website effectively. It is worthy to mention that at the time of designing a website, one should take care of the factor that billions of people with different identity are viewing the site from all around the world. And, they would love to see their reflection in the content rather than some stock photo models. And we are wishing to witness a bigger leap towards inclusiveness from socially conscious and diverse imagery for improved accessibility standards. Hope you have liked the above 10 innovative web design trends for 2019. They can help you to provide your visitors with a better user experience. And they have the ability to convert the users into your customers with ease. If you like the article or if you have any other view on this article, then you can leave us your comment. To get more such articles, stay connected to our website. We are here to provide you with helpful and beneficial articles from time to time.